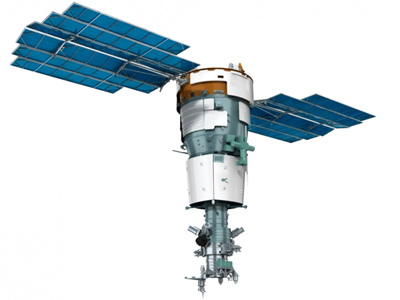 The Resurs-P series of russian Earth observation satellites is the successor of the Resurs-DK 1 satellite. It is used by Russia’s Ministries of Agriculture and Fishing, Meteorology, Transportation, Emergencies, Natural Resources and Defence. 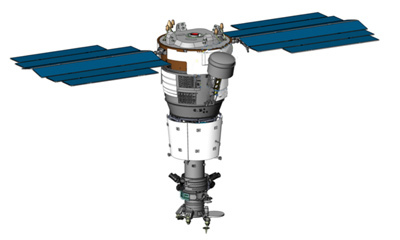 Resurs-P carries the Geoton-L1 hyperspectral imaging payload as the main imaging instrumet. The optics have an apperture of 0.5 m and provides images with a ground resolution of 1.0 m in panchromatic mode and a resolution of 3 to 4 m in color mode. The Geoton-L1 system has 7 passbands and a 216-channel hyperspectral imager. Aditionallym the KShMSA wide field multispectral camera is also on board. The satellite carry also an AIS ship tracking receiver developed at OAO RKS and Lomonosov Federal State University. The second satellite, Resurs-P 2, carries the attached Koronas-Nuklon high-energy particle detector as a secondary payload, which was previously developed for a 750-kilogram Koronas-Nuklon satellite. It detects cosmic ray nuclei with atomic number 1 to 30 in the 1 to 1000 TeV energy range. A first launch, Resurs-P 1, took successfully place in 2013 with a second, Resurs-P 2, in 2014 and a third, Resurs-P 3, followd about two years later. Two more are planned. After launch Resurs-P 3 failed to deploy one of the solar panels.